Our bagpipe band is the feature musical unit on and off campus. 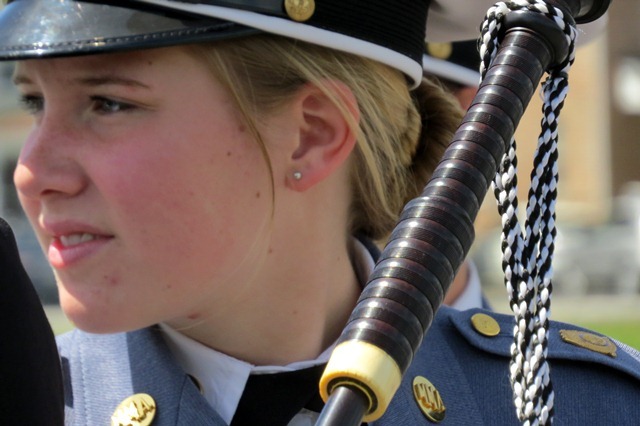 This group provides accompaniment to the Corps of Cadets during parades and other performances. Learning to play the Great Highland Bagpipe, Highland Snare Drum, Flourishing-style Tenor Drum, and Bass Drum are incredibly challenging feats. The music is designed for absolute unison within the sections and a perfectly balanced ensemble throughout. Acquiring the musical and physical skills, memorizing tunes, and marching as a unit fit perfectly into our historic military traditions. Being a member of the bagpipe band offers a truly unique learning experience; both as a musician and in growing as a leader. The MA Pipes and Drums are available to hire for parades, memorial events, civic ceremonies, and fund raisers. Please contact Mr. Sean Regan at (540) 459-0448. "MMA has changed our lives forever. I believe, that because of you, our daughter will be ready for a lifetime of success. Thank you for all that you do."